MENNEPEN: Do you know what you're eating? 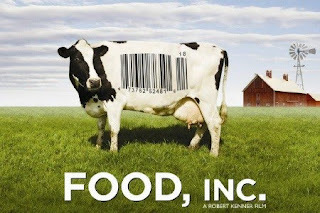 This weekend I watched the documentary "Food Inc.". Although I already buy organic diary products and eat more than halve the time organic meat and veggies, I now see the importance of it al. We as consumers have the ability to change the foodmarket and make sure less modified food products are sold, by making a choice. This documentary really gave me a I-want-to-do-something-about-it feeling. Go and check it out yourself!